What Makes Up A Safety Gate? OSHA does not allow chains to be used as fall protection anymore. 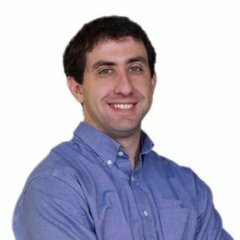 We discussed this in more detail in a previous post. 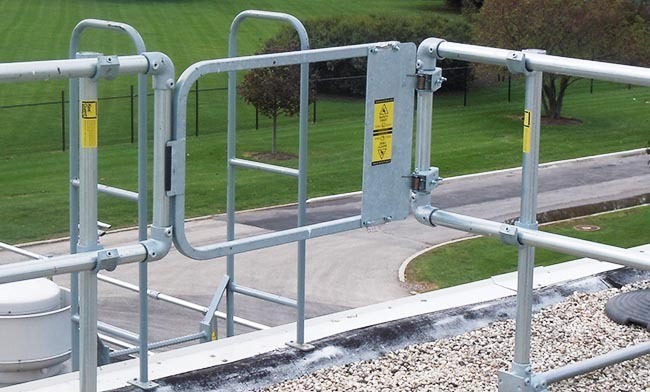 However, due to this change in OSHA’s code, safety gates have become the go-to option for ladder protection. 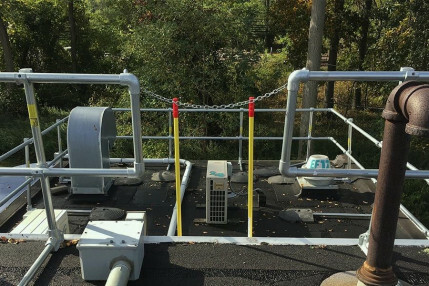 That being the case, we wanted to get a more in-depth look into the mechanics of the safety gate and why they are a great option for fall protection on ladders. Each safety gate comes with a bracket and u-bolt hardware kit. This allows the gate to attach to existing railings and ladders with basic tools. No drilling required. With its unique design, the bracket will fit over any round or square tube up to 2" in diameter. Meaning it can easily attach to most railings and ladders. In a scenario that you have flat iron or a wall, instead of using the u-bolt kit simply bolt the gate directly to the vertical surface. Because the opening to your ladder is an immediate fall hazard, you need to protect that opening the moment you walk through. This is where the self-closing hinge becomes your best friend. After you have tensioned the hinge correctly, you can easily use your hand or body to push your way through the opening. Once through, that gate closes, and you are protected from the edge. In some cases, you will want a tighter or more lose tension in your hinge. Instead of being stuck with the factory positioned tension, you can match the tension to your scenario. It’s simple to adjust as well. Use a pair of wrenches to get your desired tension quickly. There is clearly a right direction when installing the safety gate. It most easily determined by the stickers or writing oriented right side up. However, if you’d prefer the hinge being on the other side of the opening, you can flip the gate around for installation. Yes, the hinge is designed to work in both directions. Use the adjustable tension to ensure it closes properly and in the right direction. Why Doesn’t It Have A Latch? We get asked this question a lot. So don’t feel bad if you are wondering the same thing. The reason we do not include a latch on the safety gate is two-fold: Safety and Function. 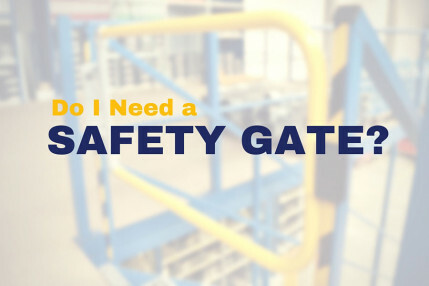 Safety gates are used in areas where you are at height, typically climbing on, through, or over a ladder. Being at height, you are already at high risk of falling. Adding a mechanism to the gate that you would need to fidget with to gain access to safety negates its purpose. Imagine you are 30’ off the ground, the wind is howling, you have tools strapped to your belt, and now need to exit the ladder. Would you rather just push and have the gate open or would you instead want to pause, take your hands off the ladder to open a latch, then walk through? The self-closing hinge is specific to its function and purpose. Latches require human interaction. Self-closing hinges do not. This is a safety device designed to save your life in a hairy situation. The more we can reduce human interaction the safer you will be. 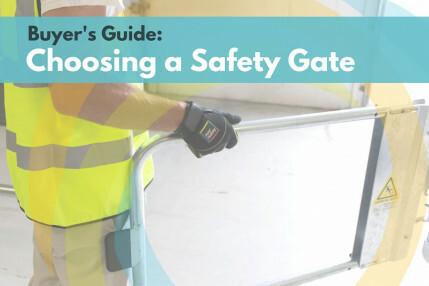 Have Any Questions About Safety Gates?